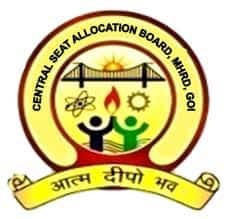 CSAB 2018 (Central Seat Allocation Board) has been constituted by the Govt. of India for coordinating admissions to UG degree programmes in engineering, technology and architecture in the participating institutes. CSAB 2018 Registration will be done Online from the first week of July 2018 and will continue to the second week of July 2018 along with checking of domicile and category certificates etc. for NEUT eligibility by state centres. CSAB Participating Institutes: SFTIs, States/UTs without a NIT for the supernumerary seat & NEUT, Patna. The list of all participating SFTIs along with the fee structure is given towards the end of this page. Last year 46 SFTIs participated in the CSAB Counselling. Until 2015, all the seats of NITs, GFTIs and SFTIs was done through CSAB but from the year 2015 onwards there will be joint counselling commonly known as JoSSA 2018 for admission to 18 IIT’s, 31 NITs, 18 IIITs, and 18 other Government Funded Institutes (GFTIs) for the academic session 2018-19. The seats in participating Self-Financed Technical Institutes (SFTIs) and supernumerary seat for Union Territory list and North East Technical Institutes (NEUT) will be filled through CSAB Counselling 2018. CSAB 2018 has been constituted with Director, National Institute of Technology Patna and the counselling of North East Union Territory (NEUT) for the academic session 2018-2019 will be done through CSAB. Schedule, seat matrix, participating Institutes, Home State, Host State and other details are updated here on this page. The admission to the First Year of Engineering/Technology and Architecture / Planning Programs will be offered via centralised seat allocation procedure, for the academic session 2018-2019 on the basis of the rank obtained in JEE Main 2018. CSAB 2018 Supernumerary round will be conducted after the fourth round of NITs under JoSAA of counselling/seat allocation. Following are some eligibility criteria that have been laid down, which is mandatorily required to be fulfilled by every candidate, aspiring to apply for CSAB. On the basis of JEE Main Paper 1: The candidate must have secured a rank in JEE Main 2018 Paper-1 (B.E./B.Tech.) and must have secured 45% aggregate marks in Class 12 or equivalent examination. (40% in case of OBC NCL, SC, ST, PwD). On the basis of JEE Main Paper 2: The candidate must have secured a rank in JEE Main 2018 Paper-2 (B.Arch./B.Planning) and must have studied Mathematics as one of the subjects in Class 12 or equivalent examination. Thereafter the candidate must have secured 50% aggregate marks (applicable to all the categories) in total five subjects including Mathematics. For admission in pharmacy program: The candidate must have passed in class 12 or equivalent exam with Physics and Chemistry as compulsory subjects along with one optional subjects from the following subjects: Mathematics, Biology, Biotechnology, and Computer. The candidates who want to get admission through CSAB (Central Seat Allocation Board) have to make an online application form on the official website of CSAB. The candidates are required to fill the Online Choice Filling Form for Self-Financed Technical Institutes (SFTIs) and supernumerary seat for Union Territory list and North East Technical Institutes (NEUT). The entire process of making an application for counselling in various Institutes during the academic session 2018-19 will be made online. To get admission in pharmacy program through CSAB, the candidates have to register themselves by submitting a separate form if the seat is allocated. The candidates appearing for the counselling process have to pay the initial as well as processing fee for the CSAB 2018. The fee amount which a candidate needs to pay is given below. The candidates should know that the processing fee is not refundable. However, the initial fee would be returned only in case of any candidates exempted to seat allotment. CSAB is going to conduct a round of counselling in order to provide a seat in NEUT through the centralised and transparent process of allotment. CSAB NEUT will be conducted for admission in both Engineering and/or Architecture Streams combined and it will be only one round of seat allocation process. The seat allotment process starts after the completion of all rounds for JoSAA including the special vacancy filling round of counselling for NIT + system. STEP 1: First, the candidates first need to register themselves by providing the basic details online and the candidates also have to pay the requisite initial fee including the non-refundable fee by e-challan in any of the branch of State Bank of India. STEP 2: Now the candidates have to verify their domicile and category certificates at state centres. Thereafter the registration of the candidates will be finalised. STEP 3: Now the candidates who have registered successfully will have to fill their choices of branches and institutes in order of their preference. STEP 4: Now the candidates who have registered on the official website will be allotted seats on the basis of availability of seats and the marks obtained by the candidates in the qualifying exam. STEP 5: The candidates who are allotted seats will have to now report personally to a reporting centre with the following documents and Demand Draft towards counselling fees of Rs 2000. Photo ID proof as per Govt. India norms. Demand Draft of Rs 2000/- drawn in favour of ‘MNIT Jaipur CSAB 2018. One set of self-attested copies of all the documents listed above. One passport size photograph identical to the one pasted on the JEE (Main) 2018 application form. STEP 6: Now the candidates who get a seat allotment for the first time in the 1st or 2nd round of CSAT NEUT counselling should report to the reporting centre of their respective Home State within the stipulated period of time for final provisional admission. The candidates are required to register themselves separately through a link provided on the official website of CSAB NEUT 2018 for pharmacy seats. The process of registration and choice filling for Pharmacy program will be different as compared to Engineering and Architecture programs. To complete the registration process, the candidates will have to provide their basic personal information, contact details and educational details. The candidates also have to upload scanned copy of documents in support of details provided in the registration form. During filling the registration form, the candidates have to indicate their choice of preference in the listed Institutes. Seat allotment will be done on the basis of percentage of total marks in class 12 or equivalent exam. The candidates will be allotted seats through 2 other round of admission counselling that is a Special round of counselling and Supernumerary round of counselling.